Yesterday my two oldest, both in college, left for spring break adventures. I know they're adults now and all that stuff, but I've been worrying about them since 1994, and I'm guessing it will be that way until the year, oh let's say, 2062--if I have my grandmother's good genes. We can't help it. Parents worry. I've figured out, though, it's not really them I'm worried about. If I'm honest--if we're all honest--it's our parenting that makes us nervous. The what if's, the if only's, the should have's. Those thoughts are keeping us, or at least me, up at night. Last year around this time we had stormy weather with excessive wind at our house. Unfortunately, we lost a few trees. 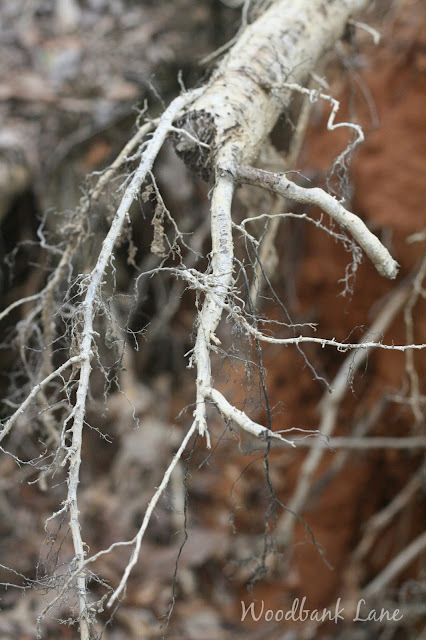 Their sprawling roots couldn't hold. Pulling into our drive one day, I looked at the fallen trees and almost had a panic attack. I had a "what if" moment about my kids. What if we hadn't prepared them well enough? What if the winds of life take them down? What if we didn't grow them strong enough? What if their roots didn't grow deep enough? I'm not sure why we allow crazy thoughts like those to enter our minds, but don't entertain them when they show up. Instead, let's strive to do our best for our kids, and believe in our abilities. And as always: lean on, cling to, and hang on to His promises.